STAFFORD: Bollywood Shake hosted its 5th Annual Bollywood Pageant USA 2017 on March 26, at the Stafford Civic Center. 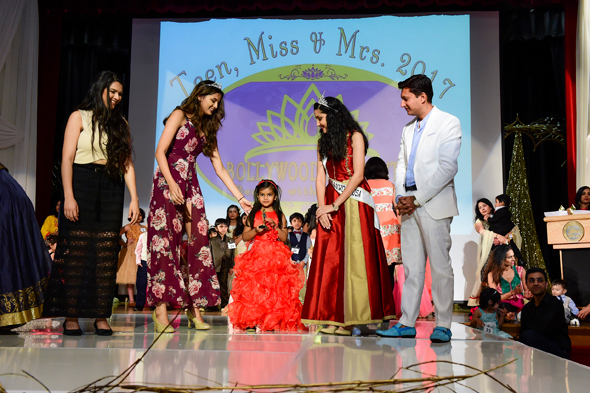 This year’s show under the direction of Pageant Director, Ruchika Dias, was extremely entertaining, glamorous and inspiring. 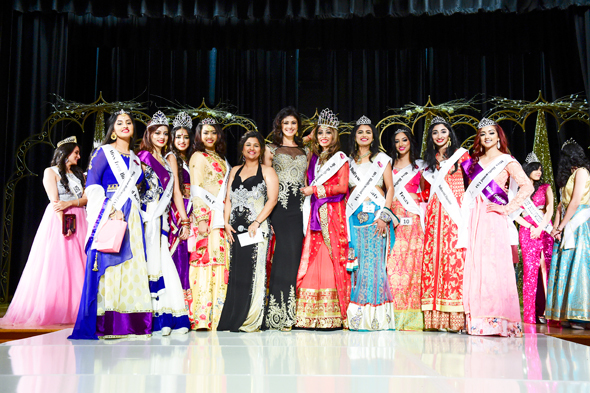 Contestants from all over the United States participated to compete for the coveted titles of Teen, Miss and Mrs Bollywood USA 2017. Bollywood Shake conducted its auditions and extensive search for the last six months all over the US to find the best ladies to compete for this year’s crown.This year’s competition featured contestants from New York, New Jersey, California, North Carolina, Colorado, Kentucky, Maryland, Virginia, Dallas, Austin, Houston and a surprise contestant all the way from Germany!! The contestants spent 3 days in Houston preparing and practicing for their big day! The esteemed panel of judges included special celebrity guest, actress and ex-Miss India Pooja Batra, Founder & CEO of HumFM Rehan Siddiqi, Vice President of Pratham USA Asha Dhume, National American Miss Teen Colorado 2016 Serene Singh, Celebrity Chef Roshni Gurnani, Cardiologist and Bravo TV Reality Star Dr. Monica Patel, Actor and Producer Dr. Pavan Grover, Miss Mexico Houston Samara Perez, Miss Bollywood USA 2015 Hinna Akhtar, Amir Dodhiya, Agent with New York Life, Realtor Shaneel Mitha, Farah Iqbal of TV One and attorney Farah Kamal. This year’s performances included singer Salman Mithani, Bollywood Pageant Theme Song by rap artist and motivational speaker Rocko Stedy Narvios and a spectacular fashion show by the Official Pageant Formal Gown Designer, Dress Galaxy. Emcees of the show were Mrs. Bollywood 2015 Shruthi Bekal and Mr. Bollywood 2014 Waqas Syed, who conducted the show beautifully. 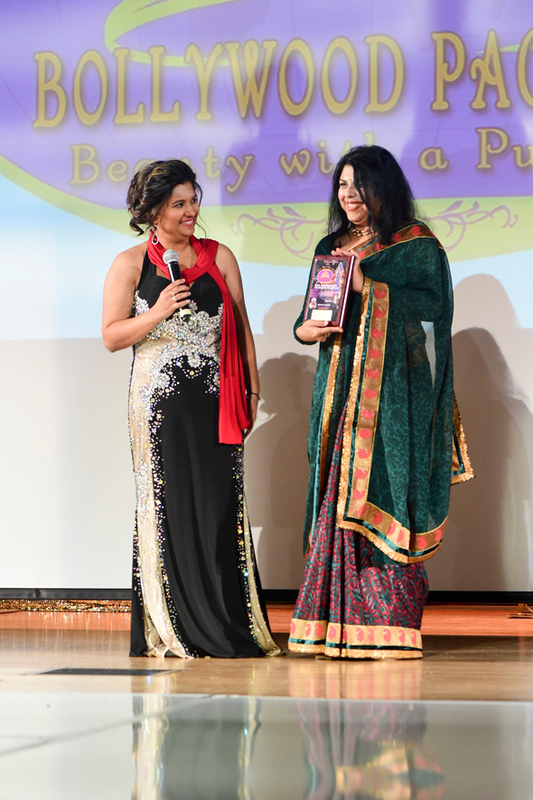 Chitra Divakaruni was the recipient of the 2017 Beauty with a Purpose Award for her contribution to society and especially to women’s empowerment. She is an award-winning and bestselling author, poet, activist and teacher of writing and winner of a number of awards, including the American Book Award. Chitra Divakaruni is a true role model for women especially of South Asian descent and an inspiration to our pageant contestants. Bollywood Shake also hosted a very successful first-of-its-kind Kids Bollywood Pageant and Jalwa Talent Show featuring a Singing and Dancing Competition earlier that day. Kids from all over Houston competed and won titles of Mini Mr/Miss Bollywood, Tiny Mr/Miss Bollywood, Little Mr/Miss Bollywood and Tween Miss Bollywood as well as trophies in the Jalwa Singing and Solo/Group Dance categories. Winners of Jalwa get automatic entry in the Texas Star Kalaakar competition. In addition to running a very successful Bollywood dance school and hosting their own radio show, Bollywood Shake has always promoted local talent through its events. 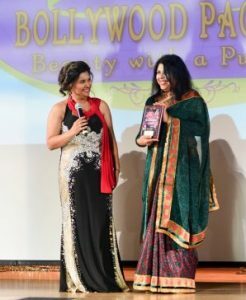 The Bollywood Pageant has featured renowned Bollywood celebrity guests in the past including Preity Zinta, Raveena Tandon, Neha Dhupia and Meenakshi Seshadri. Bollywood Shake has also hosted events like Mandira Bedi’s designer fashion show, Reality Dance Competition with Naved Jaffri, Vatsal Sheth and Omi Vaidya and New Year’s Eve Galas. Ruchika Dias, Founder & CEO of Bollywood Shake, has successfully organized the Bollywood Pageants for the past 5 years. Ruchika’s vision has always been to bring Bollywood to mainstream America. The Bollywood Pageant has been featured on ABC 13, Fox 26, TV-Asia and B4U TV. This year’s team includes Pageant Coach Niharika Nag, Contestant Manager Bindhya Babu, Judges Coordinator Pavana Gadde, Dance Choreographer Priti Islam, Fitness Coach Anu Krish, Backstage Manager Lisa Savage, Varun Gupta, Saritha Ethirajan, Sharat Yempati, Abha Jain, Surabhi Joshi, Esha Shah, Mousumi Banerjee and a big group of volunteers who worked very hard to put on an incredible show! Special thanks to our sponsors – B4U TV, Official Media Partner 106.1 HumFM, Official Beauty Partner D’Elegance Salon & Day Spa, Official Formal Gown Designer Dress Galaxy by Ruby Ashraf, Official Decorator Deco Art, Official Realtor Shaneel Mitha, Amir Dodhiya of New York Life, iGlo Medspa, Official DJ Impact, Official Photographer Jasleen Kaur, Official Makeover Team Fashion Face Houston, Ramji Law Group, MyTaxFiler.com, Swagath Grocers, Desiplaza TV, Texas Star Kalaakar and Food Sponsors Universal Bakery and Café India.